This comparison is best made by listing the contents of The Big Book of the Soul. GENERAL: chapter sub-headings introduced and endnotes properly referenced into main text. 1 NEAR-DEATH EXPERIENCES (previously Ch 2 same title): almost completely rewritten; order of sections substantially changed; additional sceptical arguments analysed; several veridical cases added; new sections on 'out-of-body experiences' and 'the seat of consciousness' added; conclusions substantially unchanged. 2 CHILDREN WHO REMEMBER PAST LIVES (previously Ch 3 same title): almost completely rewritten; lengthy analysis of sceptical arguments and critiques not previously examined; revised, more skeptical conclusion re birthmark and defect cases; new section on adult recall. 3 PAST-LIFE REGRESSION (previously Ch 4 'Hypnotic Regression'): almost completely rewritten; better coverage of research into cryptomnesia; detailed analysis of many cases not previously covered, split into sections for weak, inconclusive and unexplained; section on xenoglossy completely revised with more skeptical conclusion; ends with much simplified rewrite of section on paranormal alternatives. 4 PAST-LIFE THERAPY (previously in Ch 4): substantially the same background section, but addition of new sections on research studies and karmic dynamics (a much simplified rewrite of the first part of the previous Ch 7 'The Dynamics of Karma'). 5 INTERLIFE REGRESSION (previously in Ch 4): substantially the same background although almost completely rewritten and simplified. 6 THE INTERLIFE EXPERIENCE (previously Ch 5 'Past-Life Reviews' and Ch 6 'Life Plans & Choices'): substantially rewritten and simplified into one combined chapter, using same basic material but with addition of research from Robert Huffman, Hans Holzer and Ruth Montgomery; especially acknowledges the more fluid nature of the experience and therefore much of Newton's overly detailed aspects removed; all pioneers work combined under each of the five elements; new sections on anonymous pioneers and spontaneous memories. 7 EXPERIENCE & GROWTH: substantially new chapter; includes section about karma that follows on from (new) chapter 5, and section on repetitive patterns, progressive choices and altruistic lives (all of which again replaces much of old chapter 7); new section on sources mentioning life planning etc prior to the pioneering interlife regression research (although sufficiently obscure that rather than compromising its independence and objectivity they tend to reinforce it). 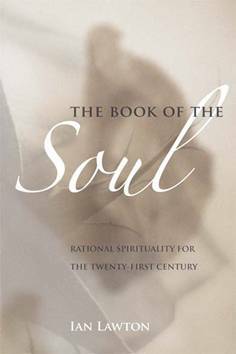 8 THE HOLOGRAPHIC SOUL: entirely new chapter with sections on 'the unity of all things', 'cosmic consciousness and the power of now', 'quantum mysticism', 'the big picture, enlightenment and types of illusion', 'holographic theory and consciousness research', 'fully conscious creation' and 'transformation'. NB Previous Chs 1 'A Personal Journey', 8 'Hypnotic Progression', 9 'Spirit Possession' and 10 'Endgame' have been removed, although various papers on the most important topics no longer covered in detail in the new book can be found here.